Replacement T-bolts for stabilizer arms. 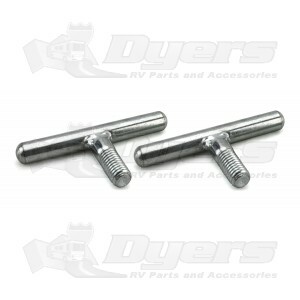 The JT's Strong Arm™ Jack Stabilizer Replacement T-Bolts are used to tighten stabilizer arms. Users must loosen T-Bolts before extending or retracting all jacks or else jack damage can occur.